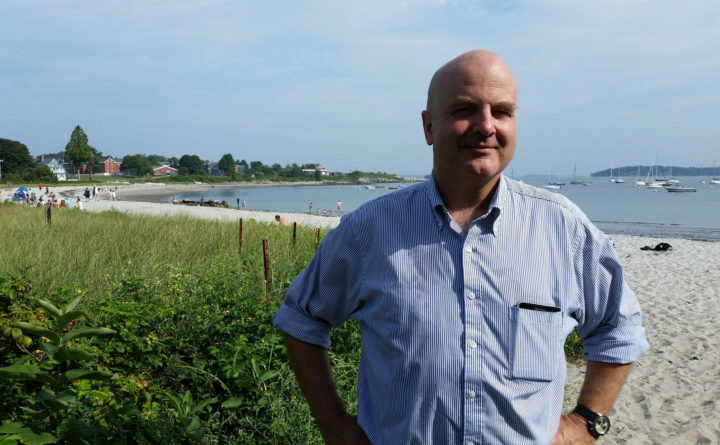 In this Maine Public file photo, South Portland City Councilor Claude Morgan stands near Willard Beach, where his neighborhood has seen an increase in short-term rentals, like those organized through the website Airbnb. South Portland residents Tuesday endorsed an ordinance that bans some short-term rentals in the city. Short-term rentals have become increasingly common — and controversial — over the last few years, and the ordinance itself was the result of a long and contentious debate. John Murphy, a short-term rental owner and one of the leaders of the group that opposed the ordinance, says it’s “overregulation” and he’s disappointed. Supporters say the ordinance, which only prohibits unhosted rentals in residential areas of the city, won’t prevent people from making money, since even those who won’t be able to rent their homes short-term can rent them on a longer-term basis.